Our next show is from ACERONE... The opening night is Thursday the 7th of May, 6pm until 8pm. There will be three new prints, some originals and for the eagle eyed out there some freebies... Keep em' peeled! We are having to finish earlier than normal so we can peg it down to the Academy to watch Bristol's finest, Malakai support Doves! 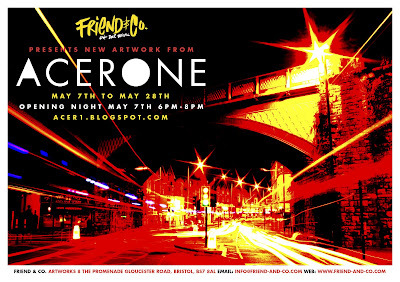 ACERONE PRINTS ON SALE NOW!